Our niece is a freshman in college and all college freshman need cookies! Right? She likes chocolate chip but thought it might be fun to find something a little different and perhaps something with a family connection . . . and that made me think of Aunt Waunita’s Delicious Cookies. 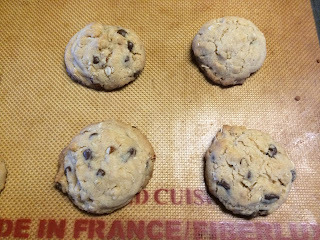 Although I used her recipe, I took the liberty to rename them — Loaded Chocolate Chip Cookies. Blend butter, oil and sugars. Add egg and vanilla; mix. Add dry ingredients (flour through rice cereal) and mix thoroughly. Blend in chocolate chips and pecans. Line baking sheet with silicon mats, or line with parchment and spray with pan release. 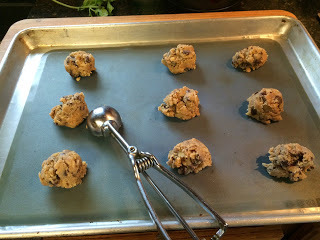 Using a cookie scoop, portion dough and arrange on cookies sheet (about a 9 to 12 per sheet). Add cookies to preheated 350° oven and bake for 10 to 15 minutes — just until lightly browned. Remove form oven, cool slightly and transfer cookies to cooling rack. 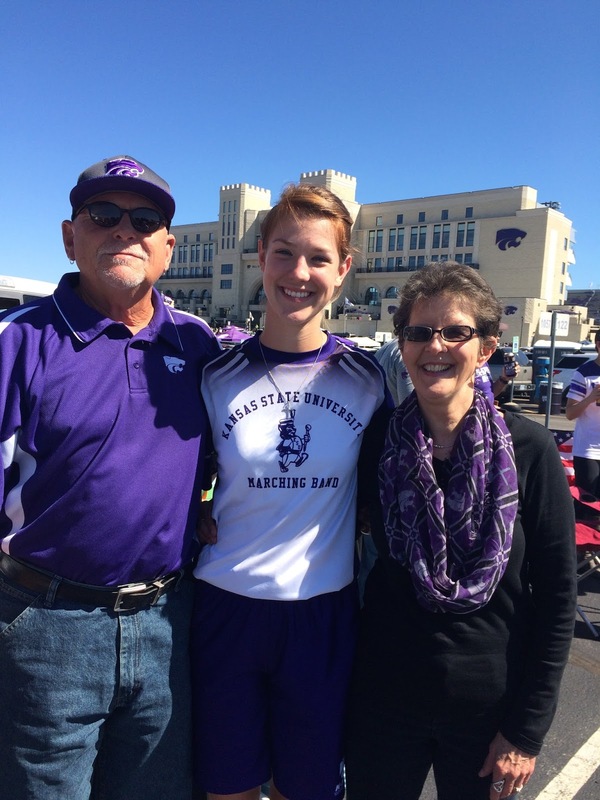 Once cool, pack for transporting to Kansas State! Chocolate Chip Cookies - $250 Cookies! Once cool, pack for transporting to Erin’s college dorm!